Takeaway: Clean eating consists of swapping out foods that have been highly processed and engineered for foods that are high quality, wholesome, and organic. We searched the web to bring you some of the best clean eating recipes we could find. WIth this clean eating recipes, you’ll be able to control every single ingredient you put into your body! Clean eating recipes let you control the nutrients and ingredients you put into your body. 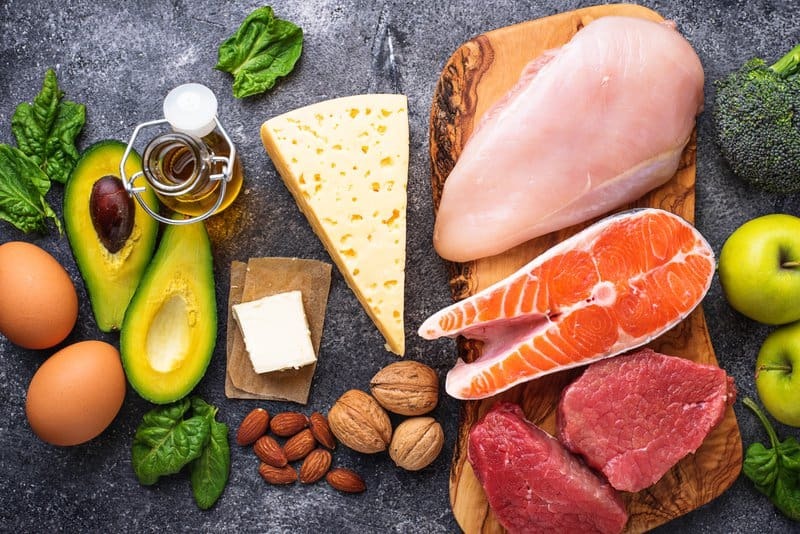 By following some of the clean eating recipes outlined in this article, you can nourish your body with healthy, nutrient-dense foods, such as vegetables, fruits, nuts, legumes, lean proteins, and healthy fats. Consistently eating clean foods will provide your body with the vitamins and minerals it needs to function properly. It can also improve your heart health, brain health, immune system, energy levels, and can help with weight loss or maintenance. Many of the everyday food items we buy are covered in pesticides, hormones, and GMOs. Clean eating requires you to be mindful at the grocery store, read nutrition labels for hidden ingredients, and cook at home as much as possible. 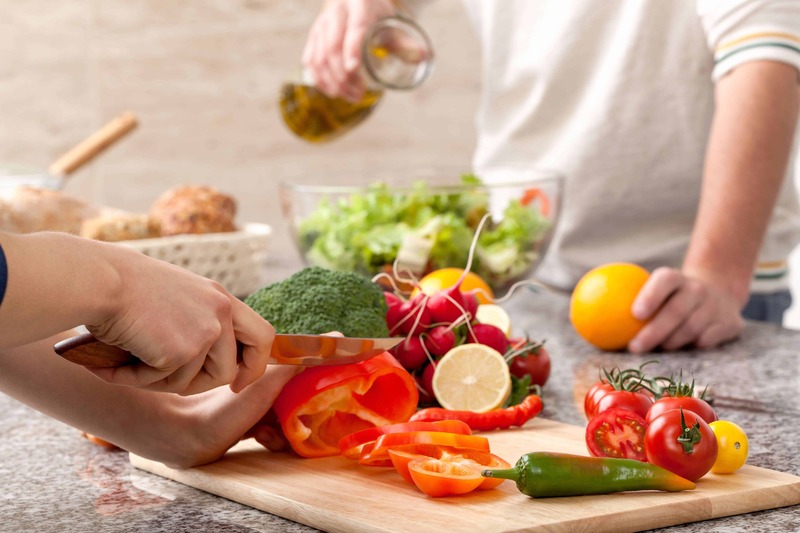 Research has shown that there are seven basic elements when it comes to eating healthy. Eliminate all trans fat and limit your consumption of saturated fat. 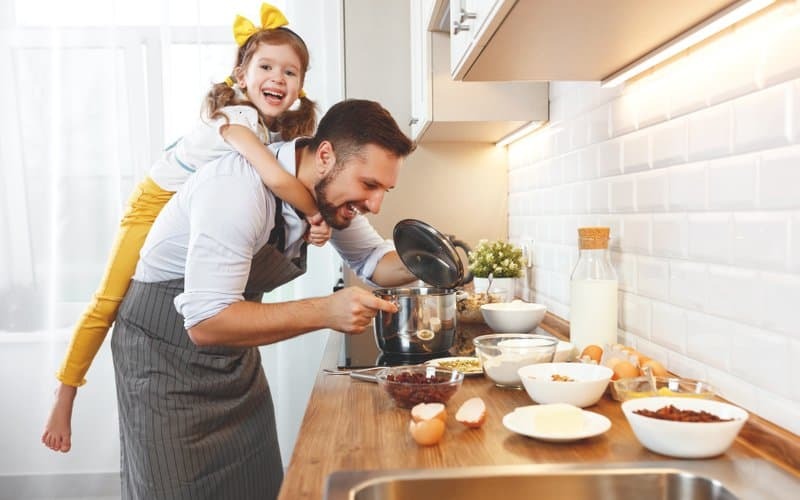 Red meat, butter, milk, and other dairy products tend to be high in saturated fat, so take the time to read the nutrition labels on these food items. Healthy fats consist of polyunsaturated fats that come from olive oil, nuts, nut oils, avocados, and seeds. Limit your intake of white flour, white rice, pastries, sugary drinks, and french fries as these carbs are rapidly digested and can cause a mid-afternoon energy crash. Instead, consume whole grains such as brown rice, barley, bulgar, and quinoa. Aim for at least 6 servings of whole grains a day. Whole grains can also include whole fruits, vegetables, beans, and nuts. Be flexible with your sources of protein, even if you do not follow a vegetarian diet. Try to get at least half of the protein from a plant source—beans, nuts, seeds, whole grains, fruits, and vegetables. 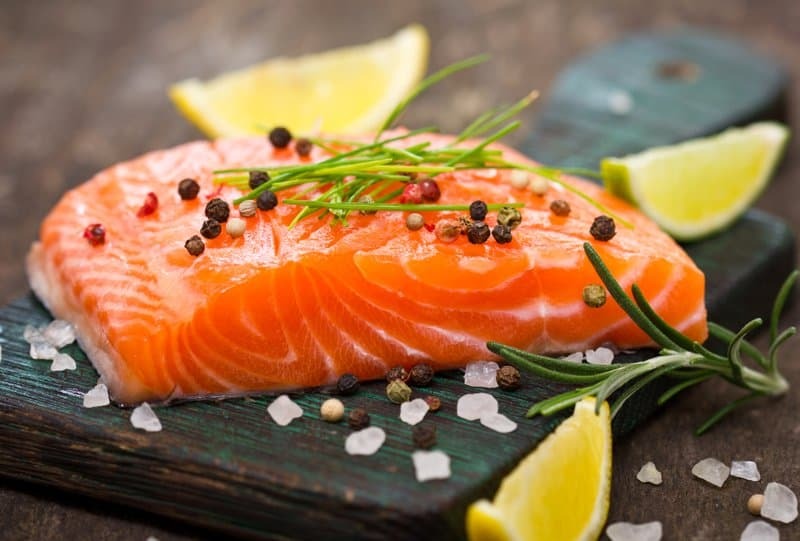 Fish, eggs, and poultry are also great sources of protein. You should also try to limit your red meat intake and aim to have two servings of fish per week. Consider 5 servings of fruit and vegetables a daily minimum; any additional servings you can squeeze in is even better. 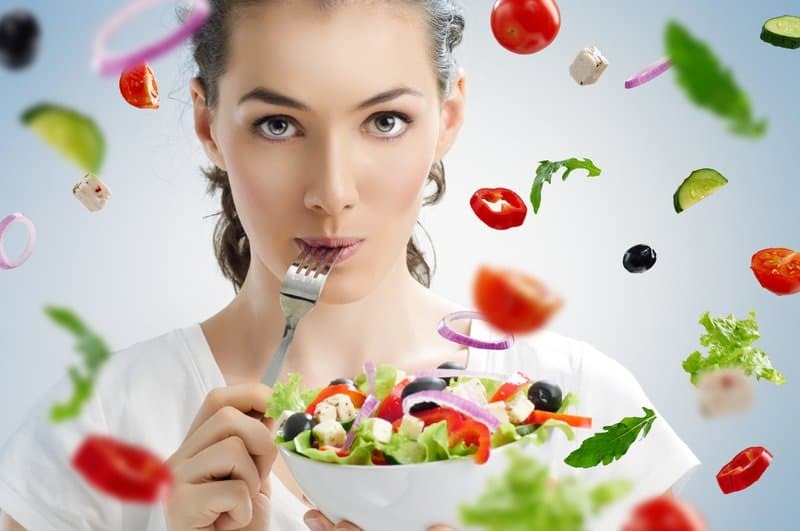 Aim to eat a variety of colors each day; dark green leafy vegetables, a yellow fruit, a red vegetable, etc. When it comes to fruits and vegetables, fresh is usually best especially if it is local. 5. 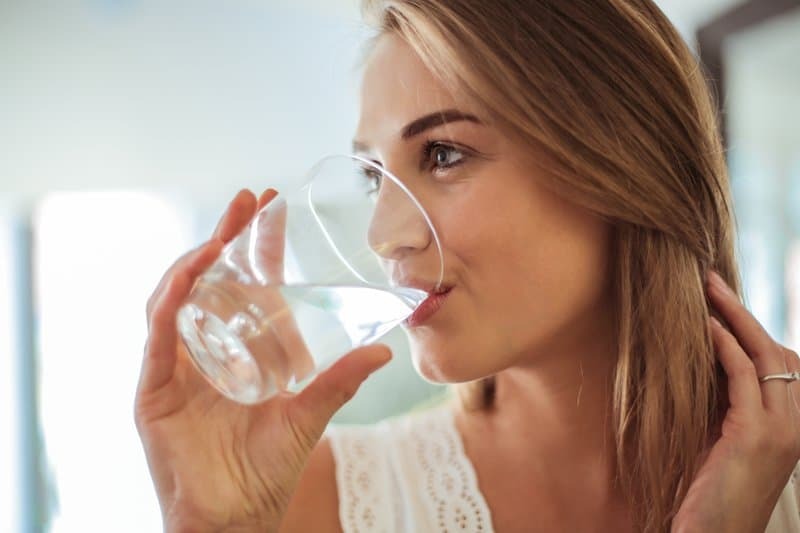 Opt for Low-Calorie Hydration. Avoid sugar-laden drinks such as sodas, fruits drinks, and sports drinks. Water is the best choice for hydration and should always be your first choice. Coffee and tea in moderation can also have health benefits as long as you are limiting the amount of milk and sugar. If milk is part of your diet, skim or low-fat milk is best. Alcohol should be limited to one drink a day if any at all. 6. Meet the Daily Recommendations for Vitamins and Minerals. Taking an RDA-level multivitamin and multi-mineral supplement each day that contains folic acid and 1,000 IU of vitamin D provides an inexpensive nutritional safety net. It is currently recommended to stay active for 30 minutes a day. 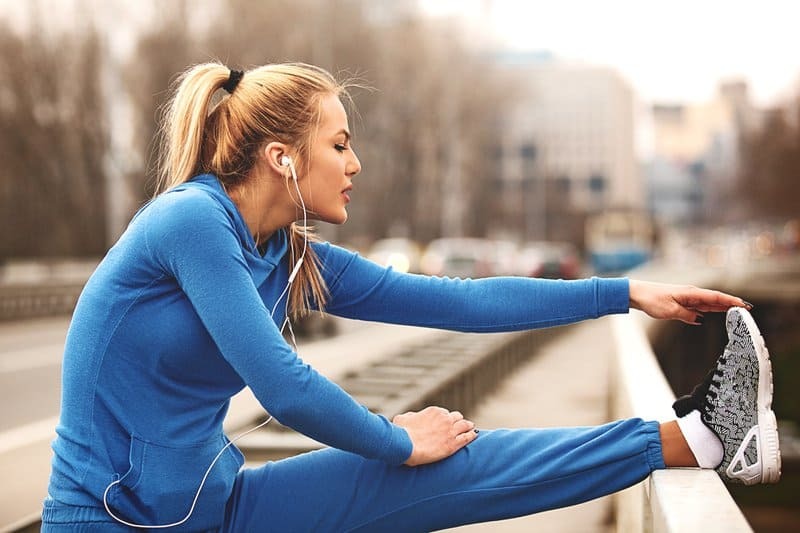 Physical activity can consist of brisk walking, jogging, or running. Expending more calories throughout the day can help maintain a healthy weight. 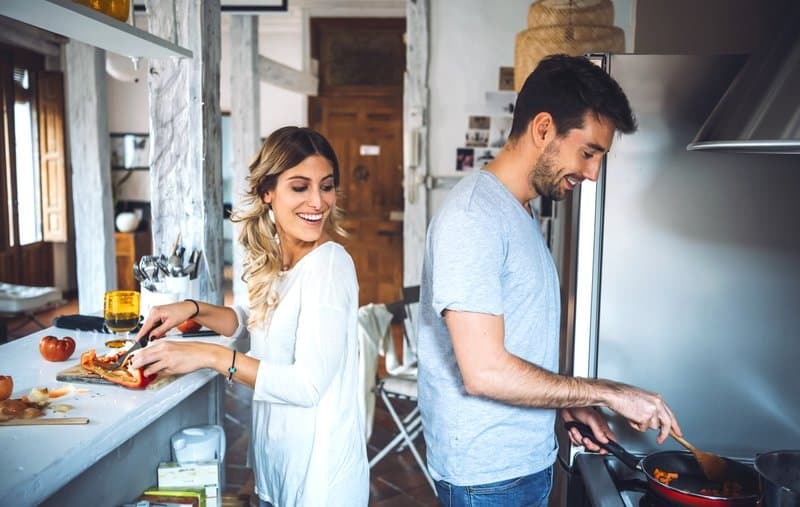 Whether you enjoy meal prepping on Sunday nights or coming home from work and filling your slow cooker with savory ingredients, we’ve got the clean eating recipe that meets your lifestyle needs. The list below provides a wide range of clean eating recipes to choose from. This quick one-pan iron steak dinner will satisfy every family member’s taste buds. With only 4 ingredients you can cook up this delightfully delicious dish that’s ready in a flash. By broiling the steak directly over the vegetables, the meat juices will base them with an abundance of flavor. Brussels sprouts and sweet potatoes complement each other beautifully for a nice contrast of bitter and sweet. This is one of our favorite clean eating recipes because of its savory flavor and low-calorie count (only 223 calories per serving). The spaghetti-squash-for-pasta swap slashes both carbs and calories by 75 percent for a delicious, creamy casserole you can feel good about eating. Carolyn Malcoun, a Senior Food Editor at Eating, recommends roasting the squash versus cooking it in the microwave if you have the time: the flavor gets sweeter and more intense. This grilled turkey burger recipe calls for clean ingredients like chopped parsley, crunchy onions, and garlic. 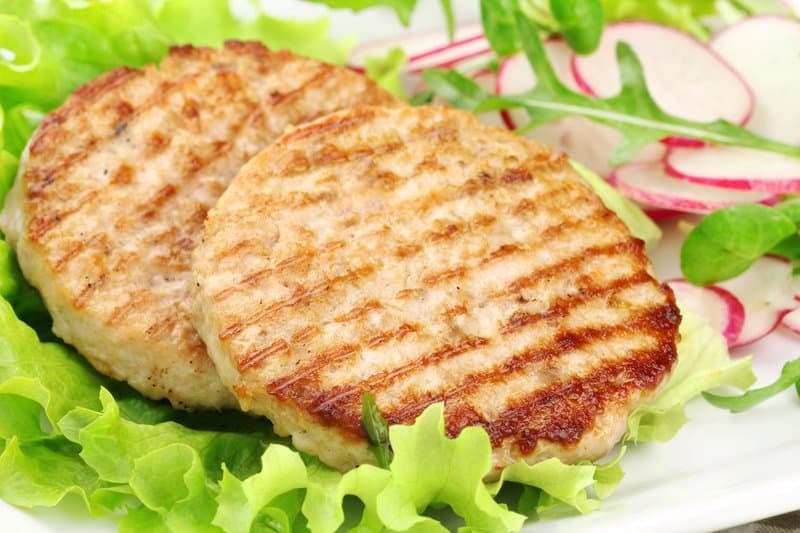 These grilled turkey burgers are packed with nutrients and offer that rich, meaty flavor you crave without upping your cholesterol levels. Pair your burger with a bright, refreshing cucumber salad for perfect flavor combo. This protein-packed dinner will stop you from reaching for that late night snack! Substitute ground beef for turkey with this healthy baked turkey enchiladas recipe! These cheesy enchiladas have 22 grams of protein and only one gram of sugar. This recipe yields enough servings to last you a couple of days so that you can have this 229 calorie dinner a few times that week! These satisfying chicken fajita bowls are full of protein and fiber, thanks to the chicken breast, black beans, sweet potatoes, and bulgar. Bulgar is an excellent substitute for brown rice, containing fewer carbs (about 15 grams or so) per serving. A quick sauce made with leeks, lemon and capers give this chicken breast recipe a bright Italian flavor. This is one of those clean eating recipes that you can serve at your next dinner party with a glass of your favorite white wine. The recipe is egg, nut, and soy-free which will sit well with attendees who may have any of these food allergies. A fresh, healthy dinner that comes together in 20 minutes! If you’re pressed for time, then this should be at the top of your clean eating recipes list. The best part about this recipe is that you don’t have to rush to the grocery store for a long list of ingredients, you probably have the required ingredients laying around in your kitchen. 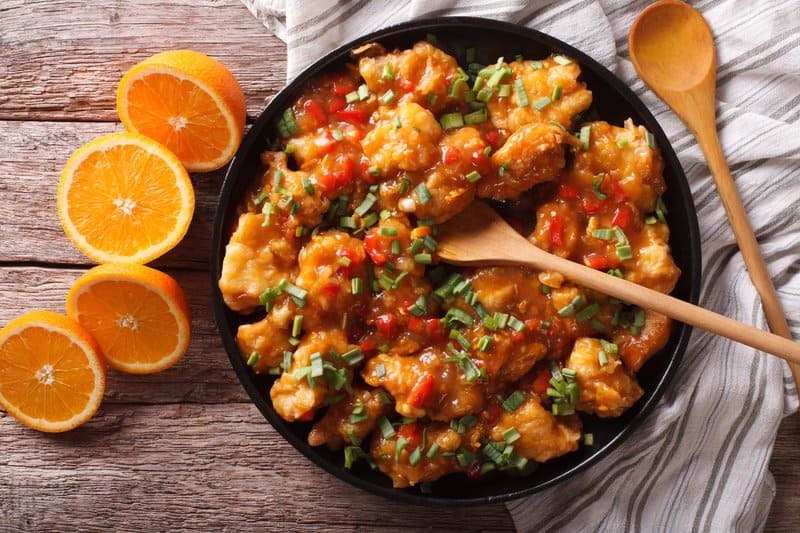 Skip the takeout and make this Healthy Orange Chicken Recipe for dinner. A simple, delicious meal that is paleo, gluten-free, packed with flavor and done in under an hour. This recipe yields 4 servings and is just under 400 calories! Keep dinner low-carb by serving seasoned ground chicken and basmati rice in butter lettuce cups. 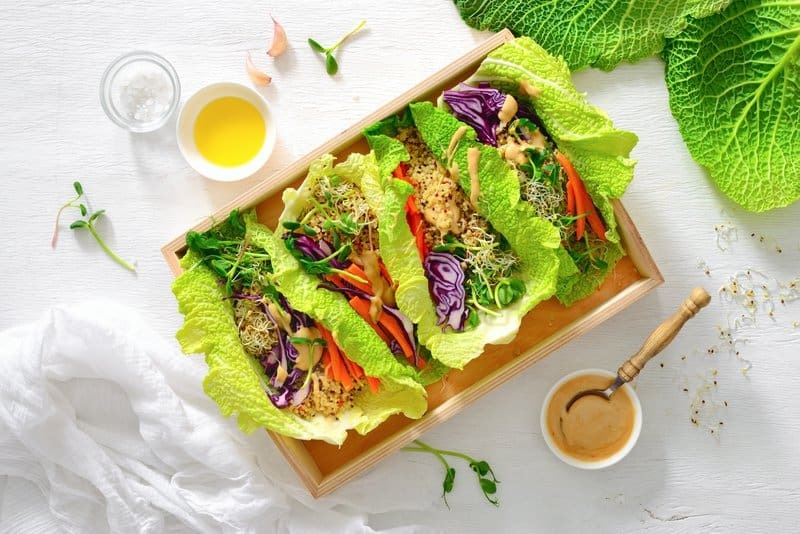 The chicken stock adds an incredible amount of flavor to the chicken and the lettuce wraps add the perfect taco cccrunch to this healthy recipe! Bursting Campari tomatoes pair perfectly with parmesan and panko-covered chicken cutlets. This recipe has such great macros that you can even add a piece of bread if you’re really craving your carbs—just remember not to overdo it! If you’re watching your carb intake, opt for a refreshing side salad instead. The best part about clean eating recipes is the ability to meal prep with them. This is an easy meal prep recipe with 28 grams of protein and less than 350 calories a serving! This gluten-free dish is loaded with veggies, light, flavorful, and super easy to make. 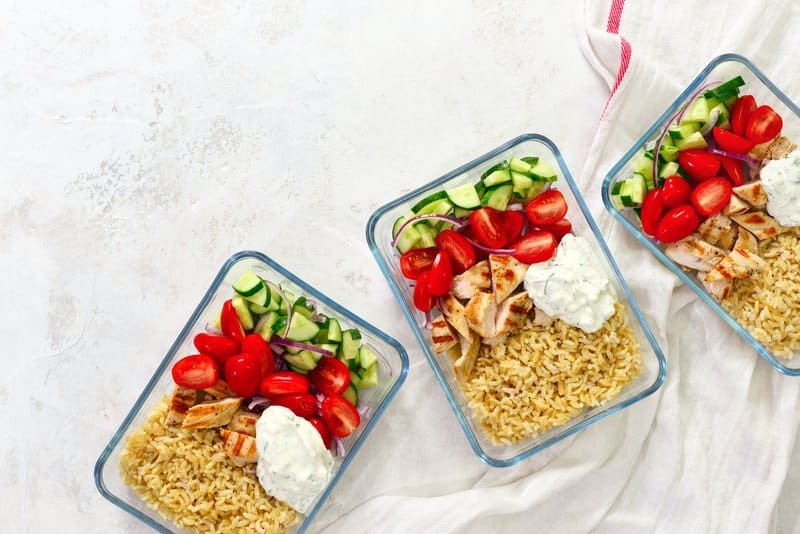 Maple ginger chicken meal prep lunch bowls are made ahead on the weekend, so you have four delicious lunches waiting for you throughout the work week. If you’re vegetarian, all you have to do is swap out the chicken in this recipe for some tofu! Spicy and creamy 30-minute butter chicken with basmati rice and quick stove-top naan. This tasty meal will add spice and flavor to your lunch routine! Your co-workers might just ask you for the secret recipe. The basmati rice soaks up all the creamy, buttery sauce from the butter chicken and the quick garlic stove-top naan is a great addition. Save your money and make your own affordable Copycat Chipotle Chicken Burrito Bowls for the whole work week! These healthy burrito bowls are made just like the real restaurant variety; baked chicken, cilantro lime brown rice, beans, and fajita veggies, and your favorite toppings! Seasoned flaky white fish is served wrapped up in a freshly cooked tortilla and topped with purple cabbage, tomatoes and the best sour cream of your life. A fresh, healthy and easy family friendly recipe that is perfect for any day of the week! 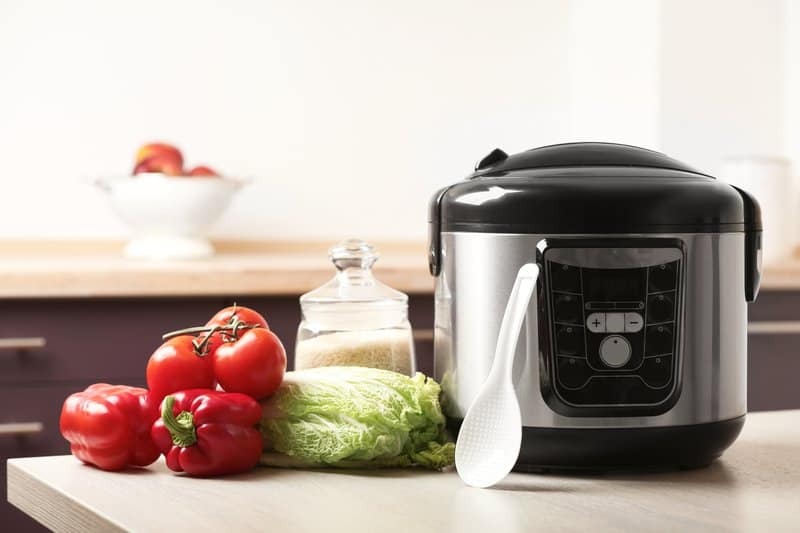 Plus you can choose how you want to prepare it–oven, slow cooker or crockpot! 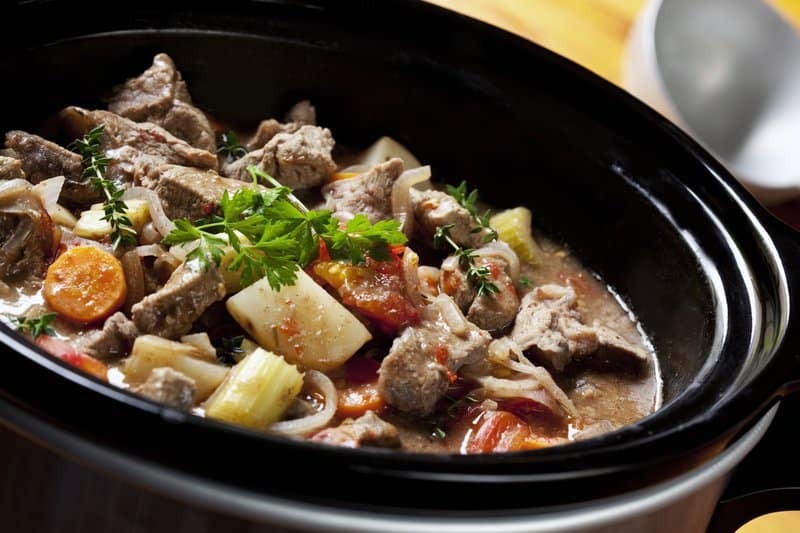 You can make this recipe in your choice of a crock pot or slow cooker. This beef and bell pepper recipe is one of the easiest recipes to put together, and you can enjoy with a minimal amount of work on your part. Clean, healthy and delicious clean eating recipes like this one are our favorite because they make our lives easier and save us plenty of meal prep time! The main component of this super easy recipe is the chicken/veggie/sauce mixture, which is cooked in the crockpot for 3-4 hours. A huge bonus on this one: use any of your favorite veggies to make it your own meal. This recipe is also great for meal preps, as it yields four servings! This slow cooker white chicken chili with sweet potato is an easy all in one Paleo and Whole30 meal for any night of the week! Aside from sweet potatoes, this slow cooker white chicken chili has everything you might expect – tons of flavor, the right amount of spice, and a little creamy surprise at the end. A taco night favorite recipe! Boneless chicken breasts are cooked low and slow in a chipotle-orange sauce until they can be pull-apart. Pair these tacos with fresh avocado-orange salsa for the ultimate burst of flavor in every bite! These shrimp kebabs are packed with vitamin C and iron! Let these lemony shrimp kebabs marinate for 15 minutes before cooking them up in the grill. This recipe pairs perfectly with grilled corn on the cob. Instead of a carb-heavy pasta, opt for this spaghetti squash recipe! This seriously nutrition-packed veggie is high in vitamins A, B6, and C. It is also a good source of magnesium and potassium. The healthy fats and protein from the shrimp make this dish the ultimate clean eating meal! 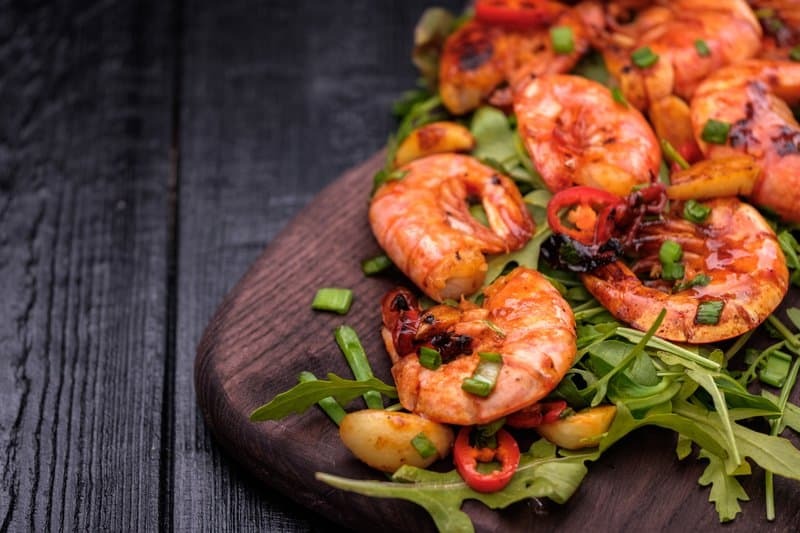 This easy, flavorful, and healthy s hrimp scampi recipe comes together in just a few minutes. The zucchini noodles make this a low carb lunch or dinner option. You won’t have to feel guilty about getting up to serve yourself seconds with this healthy and delicious dish! This garlic shrimp and quinoa recipe is not only a quick and tasty meal but is also filled with nutrition. A touch of chili powder and cayenne give it zest, lemon juice keeps it fresh, and a generous handful of fresh garlic brings the recipe to life. Quinoa is gluten-free, full of protein, and contains all nine essential amino acids. We love easy clean eating recipes, and this recipe is as simple to whip up as it is healthy. Easy-prep veggies like broccolini and bok choy offer fiber, vitamins, minerals, and antioxidants. The quinoa adds a good amount of fiber and protein to this dish. 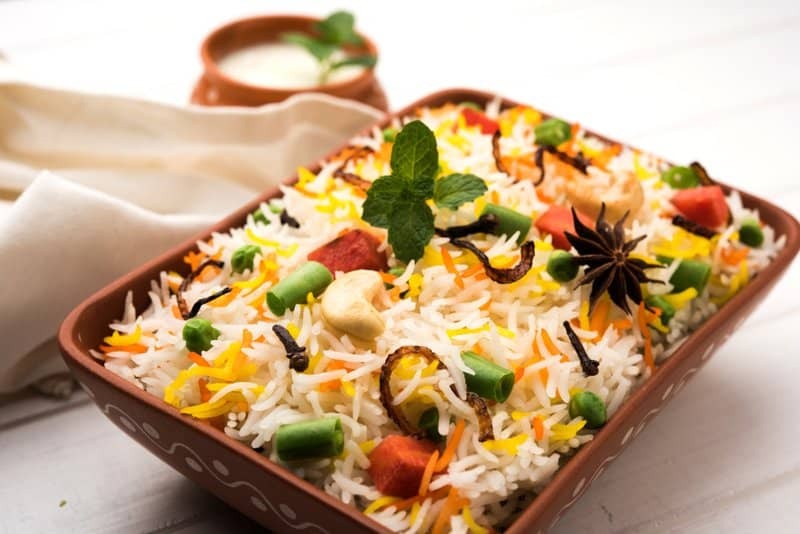 You can enjoy the delicious taste of this healthy, vegetarian meal for both lunch and dinner. Wait, did someone say pizza? This vegetarian pizza is a dream! 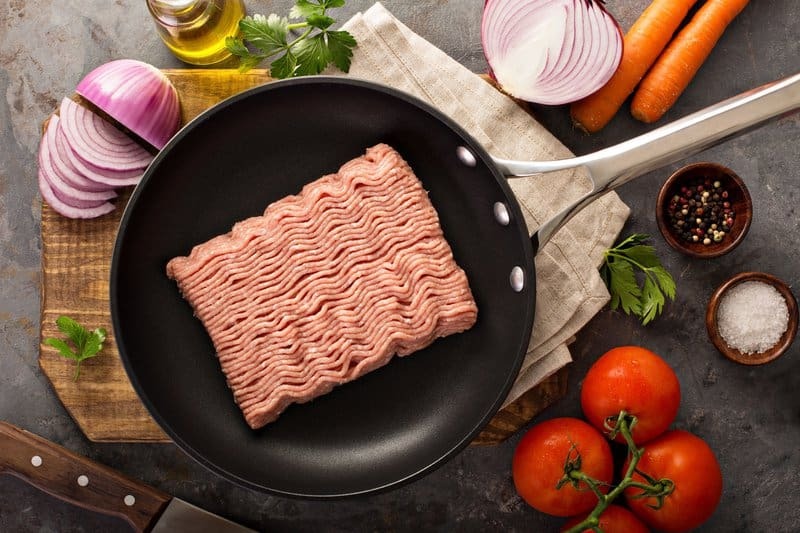 You get a full 14 grams of protein per slice with this recipe. Even your non-vegetarian friends will want to give this pizza a try! An almond flour coating gives these spicy bites a crispy exterior without the need for bread crumbs. Paired with a dip made of heart-healthy fats, you have a satiating side. This recipe is served hot or cold, depending on your personal preference. These Ground Turkey Sweet Potato Stuffed Peppers are filled with flavors and a delicious homemade tomato sauce. This is a perfect recipe for your busy dinner time. The ground turkey and sweet potato in this 30-minute recipe work really well together and make a tasty filling that is satisfying and full of flavor. This lighter version of “spaghetti and meatballs” is made with lean turkey meatballs and served them with fresh zucchini noodles — or zoodles. Using zucchini instead of pasta cuts carbs and also adds fiber and nutrients to this recipe. The folate in zucchini supports your metabolism, and the magnesium helps with bone formation. A dairy-free ranch dressing is drizzled at the top of this modern take on the classic salad with hearty turkey breast, bacon, and avocado. Top this recipe with herbs or microgreens for a pretty presentation and an even better taste. These cheese shell tacos will make you want tacos every night of the week (not just on Tuesdays)! This recipe has minimal carbs and a whole lot of healthy fat. Top it off with some sour cream, avocado, and lime juice for the steak taco finish. We love clean eating recipes that make us feel like we’re indulging! A full serving of these delicious chicken meatballs and cauliflower rice with creamy coconut-herb sauce is only 411 calories! With only 3 total grams of carbohydrates,this recipe is suitable for both lunch and dinner. Get a double dose of vitamin D with this 45-minute mushroom and salmon recipe! This dish is also full of essential healthy fats, vitamin C, and iron. With only 13 grams of carbs, you won’t feel too guilty about sitting down after dinner to watch an episode of your favorite TV show. Who doesn’t love clean eating recipes that require little to no work? 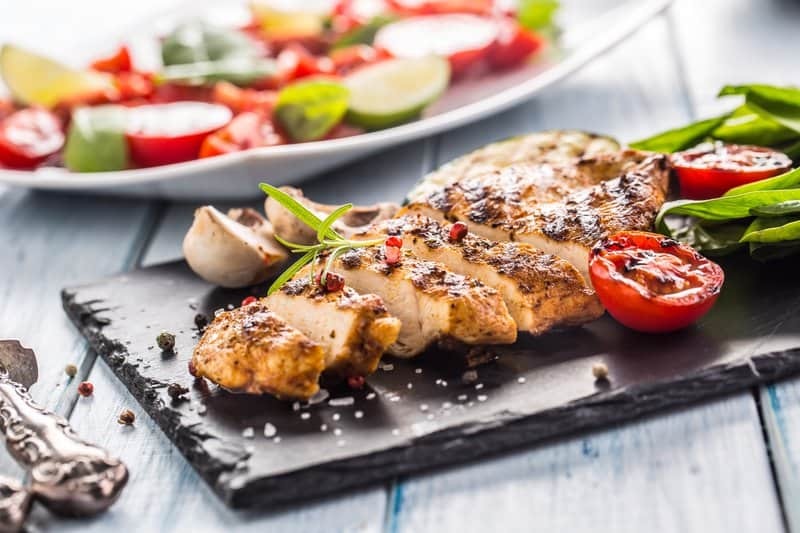 With this recipe, your grill does all the work for you! Apple slices seasoned with allspice and cardamom are grilled alongside sliced red onions and then combined into a delicious relish which is served atop grilled salmon fillets. If desired, serve with a side of fresh veggies. Gorgeous, flavorful cubes of salmon are marinated in a mouthwatering mixture of fresh rosemary, savory spices, and a splash of lemon juice with this recipe! Enjoy a generous amount of omega-3s, vitamins, and satisfying protein with each bite. This dish will keep you feeling full and ward off any future cravings you may have. Pork and avocado are Spring’s power couple. This kale salad is super filling, with plenty of fiber, antioxidants, and healthy fats. Slice or dice the pork cutlet into strips or squares and mix them in to make the ultimate pork and avocado salad! Enjoy all the pleasure of a BLT without all the extra carbs! This recipe is a delicious twist to a BLT in salad form, with a balsamic dressing that doubles as a marinade! You won’t even miss the bread in this mega loaded salad. The addition of pea pods and raisins to rice and barley makes this crowd-pleasing salad extra nutritious. You can always add in chicken or your choice of lean protein to get even more nutrients out of this meal. 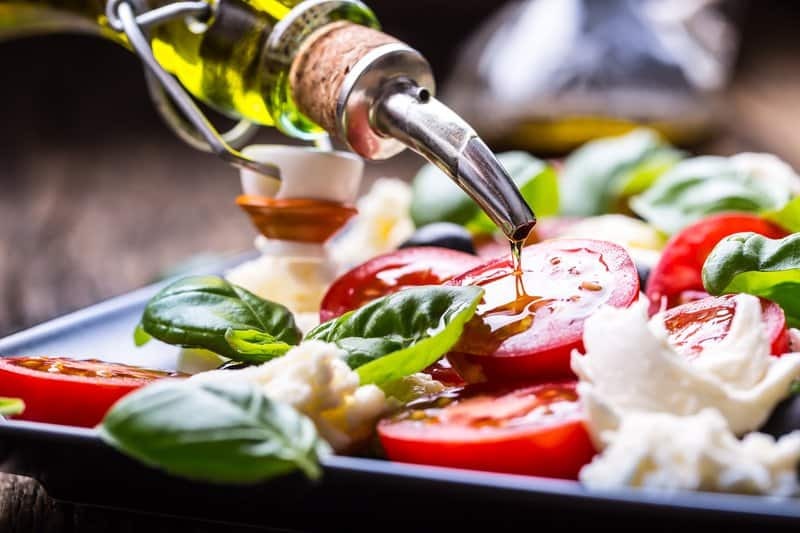 It is recommended that you chill the salad for at least four hours to give the salad time to soak up the flavors of the low-fat orange dressing. This salad is topped off with a bright homemade vinaigrette and salty Parmesan cheese to complete the vegetables uncooked texture. It takes baby arugula instead of romaine lettuce, which many people prefer. It doesn’t get any more fresh and crisp than this salad right here! This nutrient-packed vegan Buddha bowl recipe comes together in just 15 minutes. Use pre-washed baby kale, microwavable quinoa, and precooked beets to make your life easier and save time. Put these together ahead of time to so you can grab-and-go whenever you need to. This is one of the best clean eating recipes for vegans who love butternut squash! Carbonara, traditionally bathed in eggs, gets a vegan makeover using roasted and pureed butternut squash instead to make it ultra-creamy. Swap the cheese and bacon for a topping of ground almonds, garlic and sage to give it a nice texture and a savory flavor. This recipe is vegan comfort food at its best! For this vegan dish, sweet plantains are simmered in rich and creamy peanut butter sauce and served with smoky tofu cubes to make this cozy curry. This recipe is loaded with flavor and can be on the table in just 30 minutes! This is a classic take on chicken noodle soup, but with zoodles instead. Whether you’re getting over the common cold or simply in the mood for something warm, this chicken zoodle soup will boost both your immune system and your mood! You don’t need broth for this fiber and protein-packed lentil soup recipe—it’s rich thanks to the browned bits in the bottom of the pan that meld into the soup packing it with flavor. Ground coriander, from the seed of the cilantro plant, has a floral, citrus flavor that dovetails nicely with the lemon. 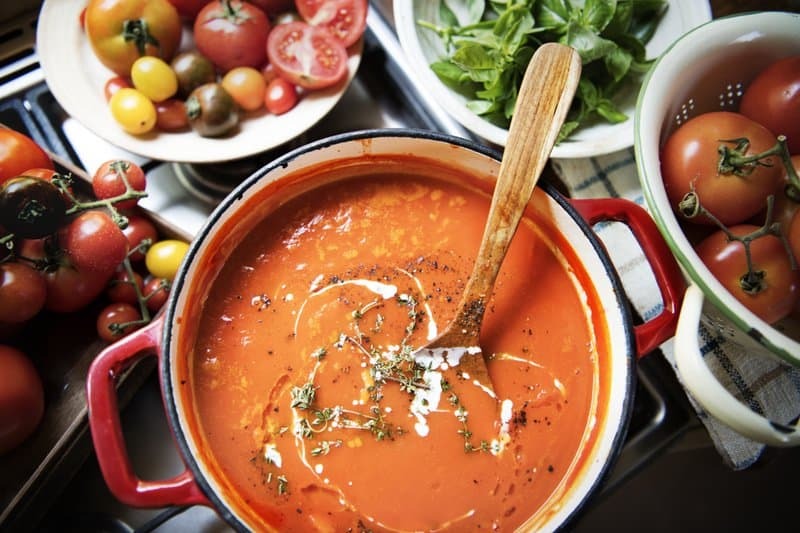 Nothing says hearty and healthy like clean eating recipes for soup! Loaded with cabbage, carrots, bell pepper, tomato and plenty of seasoning,this healthy vegetable soup packs in lots of flavors and is ultra-satisfying. Top it with some avocado and your choice of cheese. This recipe is high in fat and protein, and the perfect way to mix up breakfast. 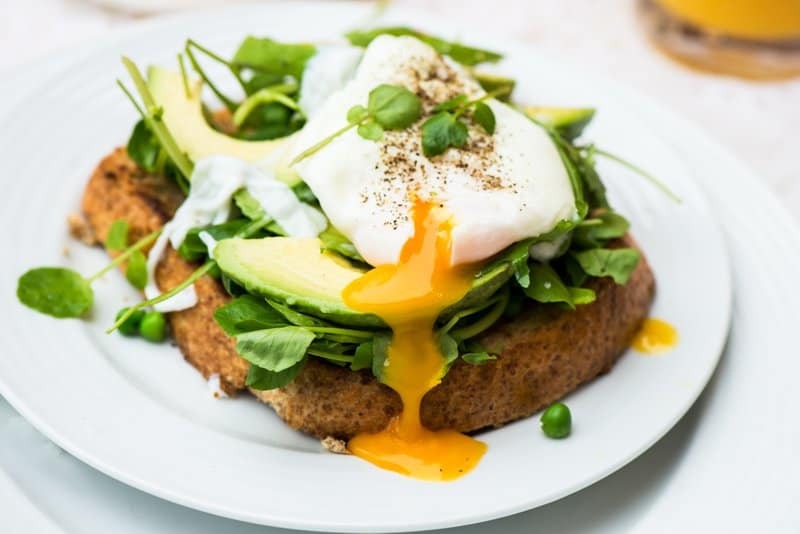 Start off your morning with this keto-friendly breakfast option that will keep you feeling full till lunchtime comes around. This vegetable omelet recipe is reminiscent of a stylish breakfast you’d find at a chic little corner café. This breakfast recipe is high in vitamin A and calcium! This dish is also gluten-free and vegetarian-friendly. Peanut butter and banana are the original power couple. Top a simple toasted English muffin with the duo, then sprinkle everything with a hint of ground cinnamon for a healthy breakfast of champions. This is the ideal breakfast if you’re getting ready for an intense morning workout. Start the day off strong with the healthy combination of brown rice, beets, avocado, arugula and eggs in this delicious breakfast bowl recipe from Bobbi Brown’s book Beauty from the Inside Out. It is recommended that you prep everything the evening before (minus the eggs) to make the morning a breeze. Chicken nuggets are every kid’s go-to meal. This herbed chicken nuggets recipe will allow your kids to indulge in their favorite finger food while still getting plenty of nutrients out of it. These nuggets are so tender and delicious that your spouse will be a big fan of them, too! Who says waffles are just for breakfast? Clean eating recipes that work for any meal of the day are both nutritious and convenient! This recipe is a twist on the classic waffle. Top these fresh-out-of-the-oven waffles with hummus, tomatoes, cucumbers, and parsley for the ultimate weekend lunch. The great thing about these chicken spinach meatballs is that you can freeze them for later if you have leftovers. This recipe is convenient and a great way to save time in the morning while packing your kid’s lunch! These meatballs taste so good that your kids won’t realize there’s spinach in them! This summer chicken burgers are mouthwatering! They’re perfect for a family cook-out or a lazy Sunday afternoon by the pool. This simple and tasty recipe comes together in 30 minutes. Try making some sweet potato fries as a healthy alternative to french fries! 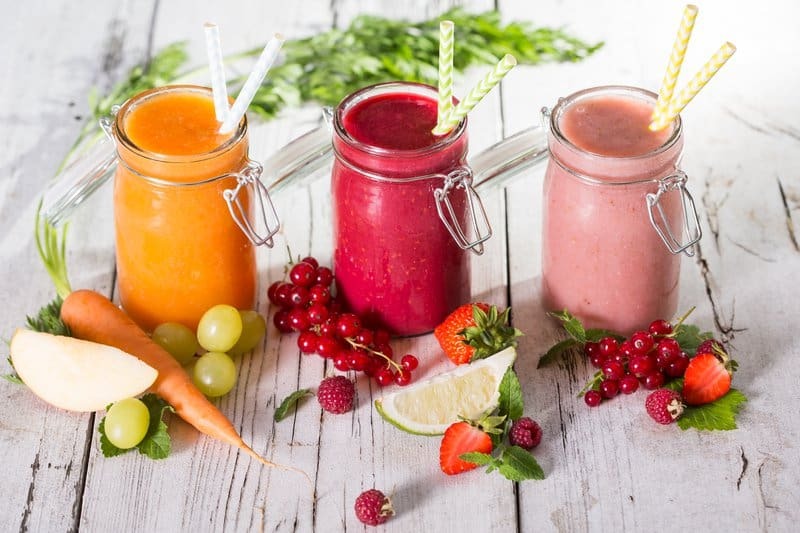 You don’t have to go to an overpriced juice bar to get a delicious and nutritious juice smoothie. This recipe allows you to make a healthy and satisfying smoothie right from your kitchen (and at half the cost). This simple carrot smoothie recipe makes the perfect afternoon snack! This is the perfect smoothie to re-hydrate your body in the morning! The fruits in this smoothie will supply your body with plenty of fiber to get your system running bright and early. The electrolyte-rich coconut water is a refreshing dairy-free substitute for yogurt or milk. Kefir is similar to yogurt, full of gut-friendly probiotics, but it has fewer carbs and a more drinkable consistency which makes it perfect for smoothies! Add your choice of protein powder to this smoothie to increase your protein intake throughout the day. Smoothie bowls make great clean eating recipes as well! The great thing about these bowls is that they are highly customizable. The frozen banana in this recipe gives the perfect creamy texture to this sweet and satisfying smoothie bowl. 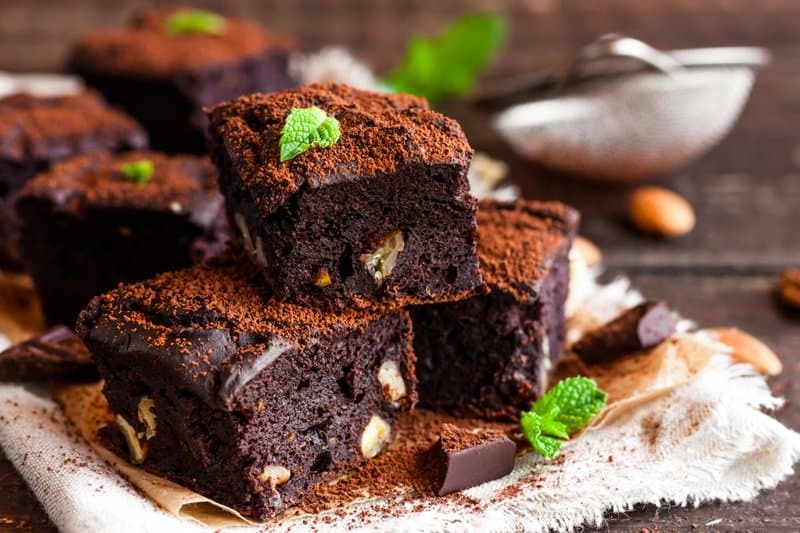 Ridiculously moist and delicious, this healthy chocolate banana bread will become your new favorite bread in no time. This recipe takes all of the unhealthy ingredients of regular banana bread and swaps them out for healthier, more nutritious ingredient options. When it comes to clean eating recipes, dessert recipes don’t always have to be warm and creamy. They can be refreshing and tangy. These fro-yo bites will satisfy any sweet tooth! Top these bites off with your choice of berries to squeeze in an extra serving of fruit for the day. Coconut milk is the secret ingredient in this healthy dessert recipe. The combination of coconut and mango make this recipe a must try! This is a healthy frozen dessert you’ll want to keep in your freezer all summer long! A warm plate of churros isn’t typically what comes to mind when you think of clean eating recipes (after all, they are the Spanish version of a donut). Churros are usually fried and doused in sugar; but with this healthy dessert recipe, the churros are baked and served with a side of chocolate sauce slashing the calories and sugar quotient in half.